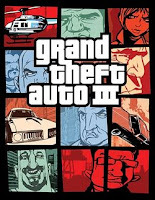 Check out this gameplay video of GTA III on the iPhone. (Also available on the iPad and iPod touch). The game is fully compatible with iPhone 4S and will also be available for Android high end devices. GTA III Mobile features complete touch support and improved graphics. Using special graphics tweaks, the game looks better than the PC version. You can download GTA III on your iPhone, iPad or iPod touch now in the app store for only $4.99.